The concept of mobile robotics is not a new one. From Grey Walter’s Tortoises to Shakey the Robot, scientists have been working for years to automate processes and alleviate hard labor on humans. While these older mobile robotics were technologically restricted to follow a path from point A to point B, today’s robots are becoming more and more advanced and more likely to replace human labor. I Think. Therefore I Work. Autonomy is quickly making its presence known in the warehouse, converting guidance-reliant mobile robotics into thinking—pardon the pun—machines. Unlike their mechanical predecessors, autonomous mobile robots need little to no oversight to complete their tasks with a high degree of quality. Once their parameters are defined—say, the length and width of a warehouse—and orders are coded into their operating system, these brilliant robots can work almost as independently as their human counterparts. Consider the arguable frontrunner in the autonomous mobile robotic race: Kiva. You may, however, recognize the darling of the robotics industry by a slightly different name, post-acquisition: Amazon Robotics. 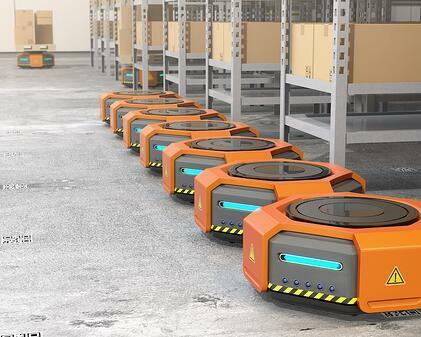 Known primarily for their ubiquitous little orange bots, these small, hardworking units have become the face of robotic technology entering the walls of the warehouse. One of the bots' most intriguing feature is the ability to move goods to a person vs. a person to the goods. Not only do these robots "learn" where items are from an in-house database, but they can also retrieve and carry the items to a picking station for fast, efficient integration with human "coworkers." While robots may take over some warehouse jobs as time and technology progress, for now, they are just learning how to work alongside their flesh-and-blood peers. Vision-guided vehicles, or VGV’s, are learning how to interact with and avoid humans on the warehouse floor. Every time a VGV senses a human or object in its path, it will slow down or stop and evaluate its next possible moves. This technology is important to have dynamic performance regardless of how crowded or empty aisles are. To facilitate collaboration and adoption, manufacturers have also made their robots adept and user-friendly when it comes to human and fellow robot interaction: after all, the end goal remains the same for human and robot alike—a safe and successful work environment. Beyond working alongside humans in the warehouse, robots also need to fit snugly into a subservient role for the easiest adoption experience. Workers are less likely to be fearful or suspicious of machines that help them do their job, rather than replace them—that's why tech like the follow me robot goes a long way. Similar to the very popular follow me luggage concept, these robots respond to a chip, card, or other small beacon held by the operator, following in his or her footsteps to act as a sort of mobile workstation, or even as a fetch-and-retrieve helper. In a warehouse situation, this type of functionality helps make the most out of square footage and cuts back on the need for larger, bulkier equipment like forklifts or more costly fixed infrastructure like conveyors. Much like any revolutionary innovations in manufacturing and warehousing, mobile robotics is not a silver bullet. Some companies have jumped in feet first into this delicate endeavor, only to become frustrated and tear out the new infrastructure shortly after. Overly-cautious bots can end up wasting more time than saving it, particularly if preparations and considerations weren't made for company needs beforehand. 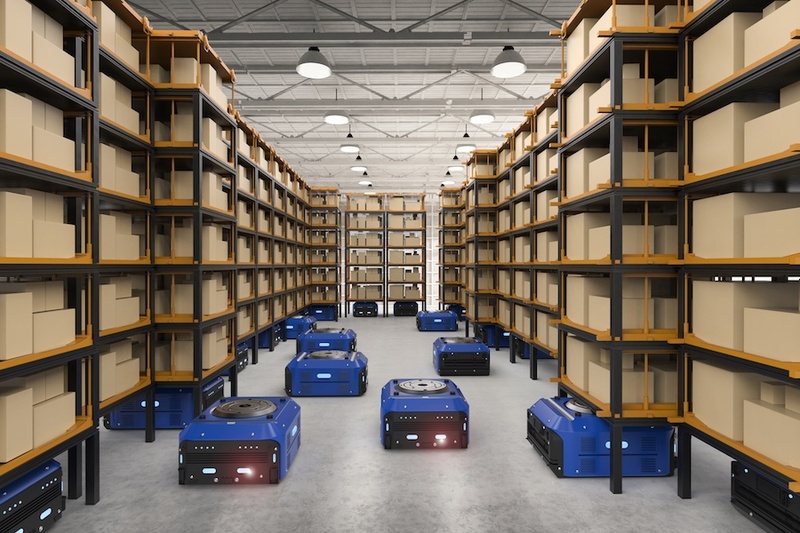 Regarding physical limitations, while mobile robotics handle flat floors without breaking a sweat, vertical stacking and retrieving of unstable products on high shelves is another matter. Being able to compensate for all the real world imperfections is something engineers have had a challenging time with for several years and a task that still seems better suited to humans—at least for now. Another area that is still evolving is in fine dexterity. The limited body of a bot is filled with battery power, the mechanisms that allow it to recognize shelf spaces and objects visually, and the drive that powers the ability to actually grasp an item. Unfortunately, even when set to a solid middle ground of pressure, delicate items can still be accidentally crushed, and heavy items can slip out of the grasping mechanisms. Visual recognition programs also struggle to calculate depth, particularly on dense warehouse shelves. What Will These AI Advances Mean For You? If you're considering adding mobile robotics of the guided or autonomous variety to your warehouse, you'll need to do a little due diligence first. Will the robot fit well into your warehouse? It's not always a question of having space for a charging station. You'll need to carefully determine if your new bot will integrate with your existing systems and warehouse floor plan layout. How well will the robot integrate into your current systems? It’s important to evaluate the cost of having to upgrade or change systems with this new technology. Who will be responsible for the robot? From periodic diagnostics to troubleshooting and "parking" in off hours, make sure you have an employee designated to manage and repair the robotic unit or units. Is the robot going to help or hurt the current flow of your warehouse? 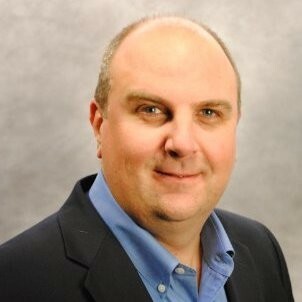 Be sure this new technology is creating a process flow instead of a process flaw. How will your staff respond? Will they be concerned the robot is going to replace their jobs, or will they commit to finding new, more efficient ways to work alongside it? As long as you can answer these questions honestly and positively, you're on the right track for adding mobile robotics to your warehouse workflows. At the Kenco Innovation Lab, we're working with these robotics—and a variety of other incredible tech tools—to make business easier for all of our customers. Want to know more? Take a look into what we're working on in our New Supply Chain Innovation Technology eBook, available here.